"its EVA (Embedded Vehicle Autonomy) development vehicle built on its CVFlow architecture and a phalanx of 20 cameras powered by 16 of its CV1 image and vision processing SoCs. For long range detection, EVA relies on six of Ambarella’s SuperCam3 4K stereo cameras, each with a 75-degree field of view. They are arranged in a hexagon, providing full 360-degree coverage. Ambarella claims that the system can detect and identify a pedestrian out to 150 meters, and as far as 180 meters if coupled with additional neural network software. Each stereo camera is powered by its own pair of Ambarella’s CV1 vision SoCs. The cameras use Sony IMX317 sensors.. have lower resolution to give them bigger pixels and improved low-light and high-dynamic range performance. 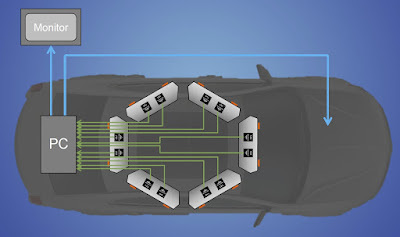 The short-range stereo cameras are place in the front, back, and both sides of the car. Utilizing fisheye lenses, this provides the EVA with a full 360-degree view of the area immediately around the car. The four stereo cameras are supported by a dedicated pair of CV1 SoCs, and use an array of Sony’s 2MP IMX290, which feature very large pixels. 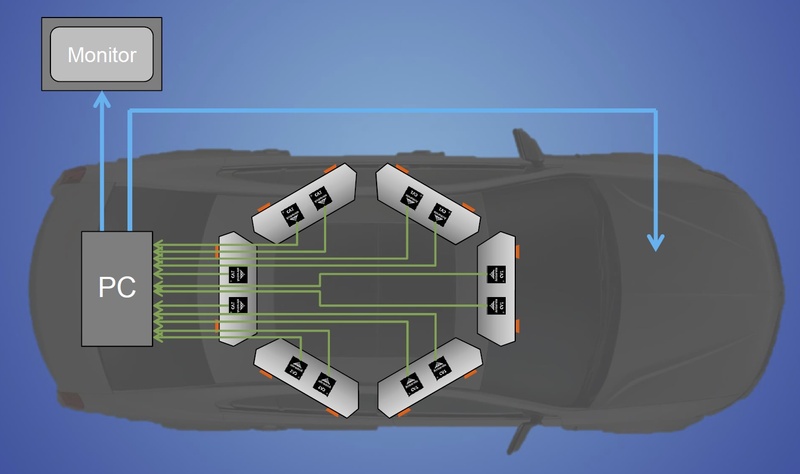 Rounding out the system are a front-facing radar for redundancy and driving in poor visibility, and a PC to run higher-level sensor fusion, localization, and path planning tasks." Going to work great at night on unlit roads, pedestrians wearing dark clothing (Uber). Or for detecting gray concrete barriers edge-on against the gray background of the the freeway asphalt (Tesla). Or detecting white semi trailers against the white background of the sky (Tesla). white semi trailer is still a rectangle, once recognized and categorized, wherever it moves in the field of vision, it will be tracked as "an object" Unlikely any object will have no edges or form shape. Where have you EVER seen such on the roadway?